We`ve been in that business since 1993. 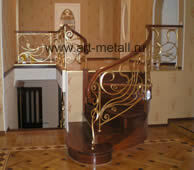 Although our team is quite small we are able to cope with serious and challenging tasks. 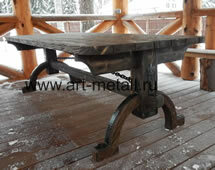 In the course of the works we give preference to manufacturing small and functional items. 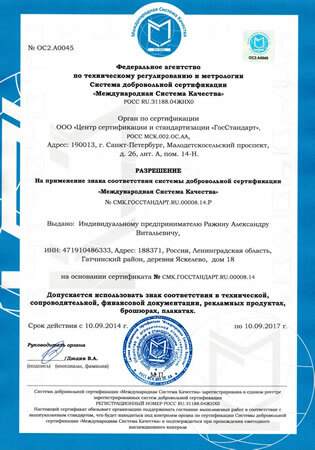 It`s impossible to buy the articles we produce in the ordinary shops because our items are very specific and done to order. 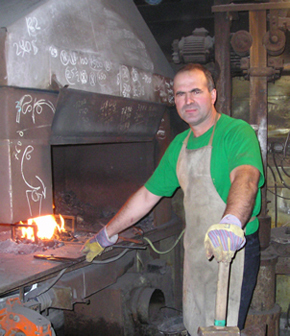 Our motto is working out every detail not only on the design phase but also directly in the workshop.We aim to blend the item in the interior of the placing and to meet the demands of our clients. 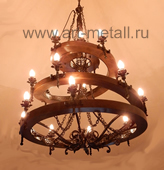 Wrought iron chandelier wagon wheel style. 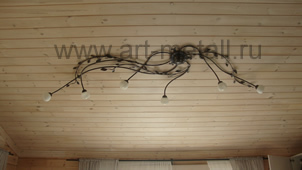 Lamp, chandelier, lantern, wall sconce. 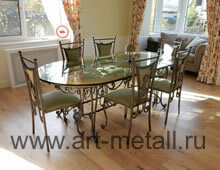 Wrought iron furniture chairs, tables, beds. 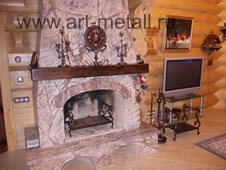 Forged iron fireplace, accessories, grates. 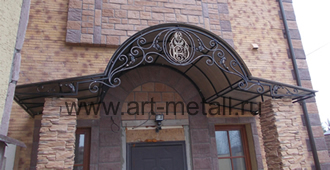 Wrought iron garden furniture, bench, swings, pergolas. 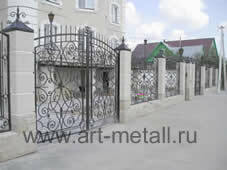 Wrought iron gates, fences, balcony.